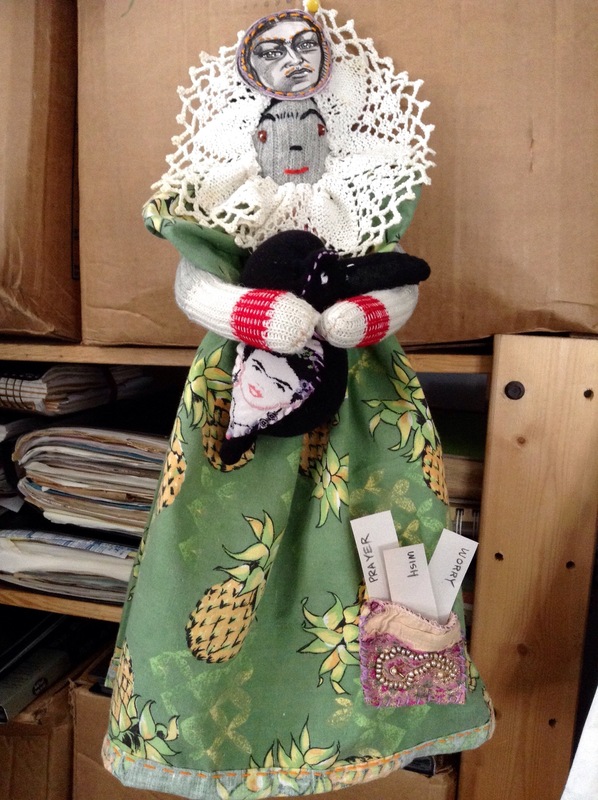 Frida Kahlo handmade miracle sock doll. Don’t we all have that sentence running through our minds at some point? Sometime we need to hold on to SOMETHING. Like a doll. 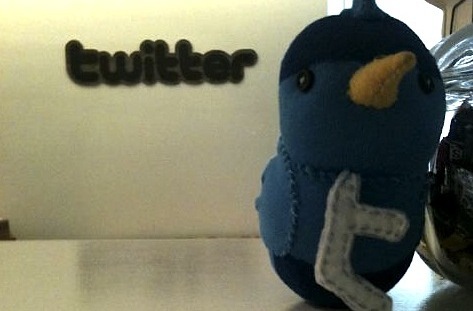 So… what would a miracle doll look like? 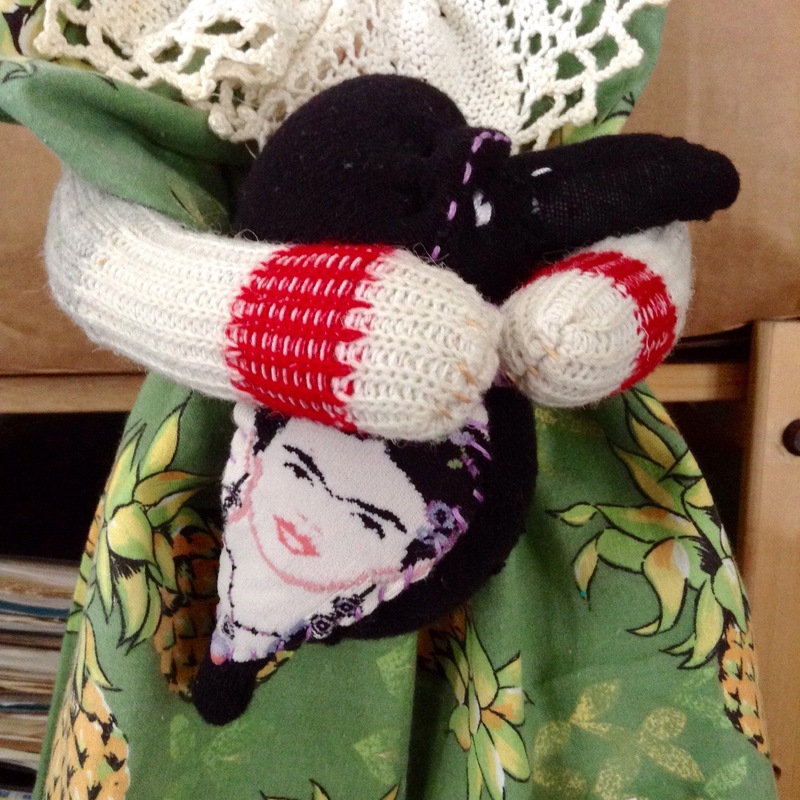 This Frida Kahlo Tehuana Headdress sock doll becomes a reminder to release and to stay neutral amidst change and chaos. The doll is cuddly for those times that a quiet moment of solitude is needed. Those times we just need to sit. 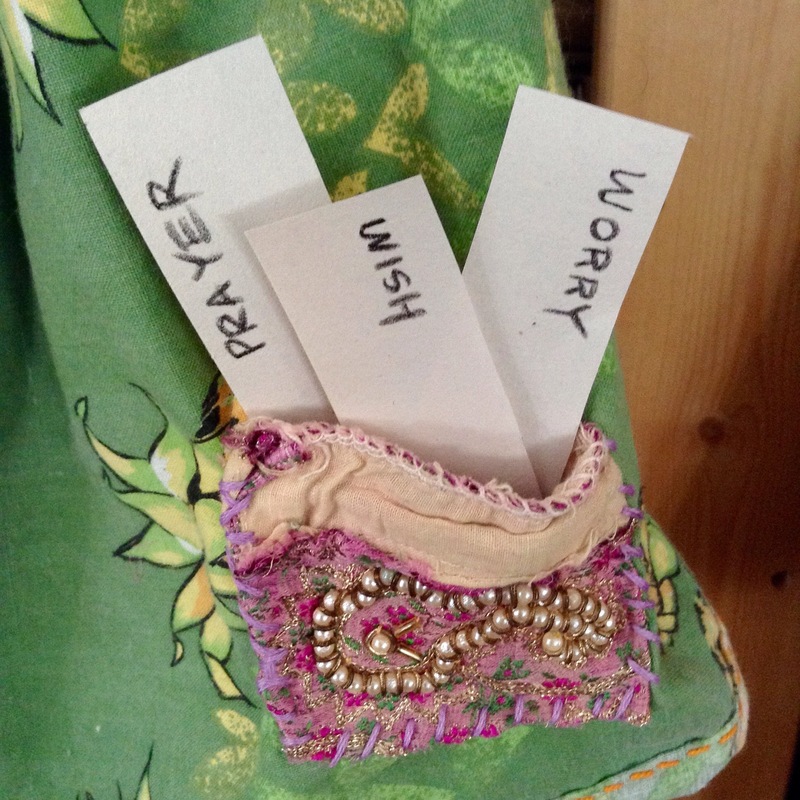 She has a special embellished pocket to hold prayers, worries and wishes. 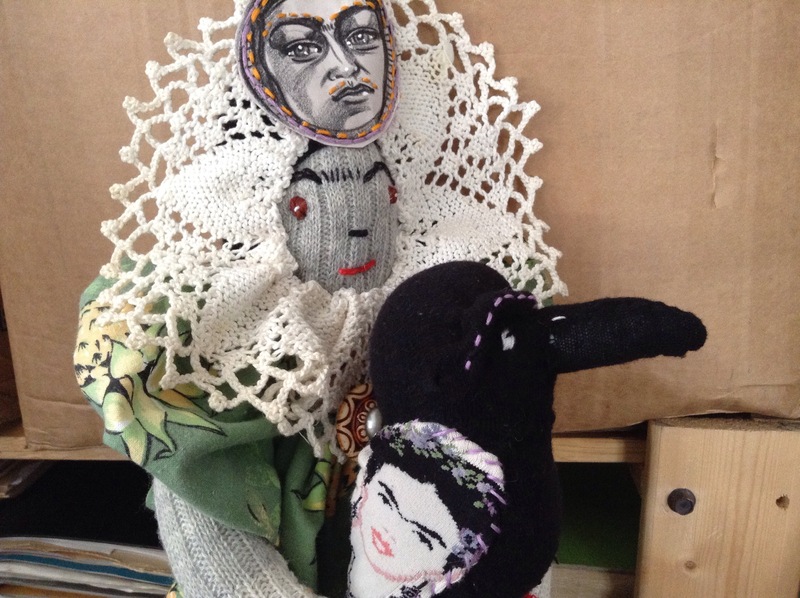 Frida holds a sock crow with Frida portrait wings to remind us to laugh and maintain perspective. 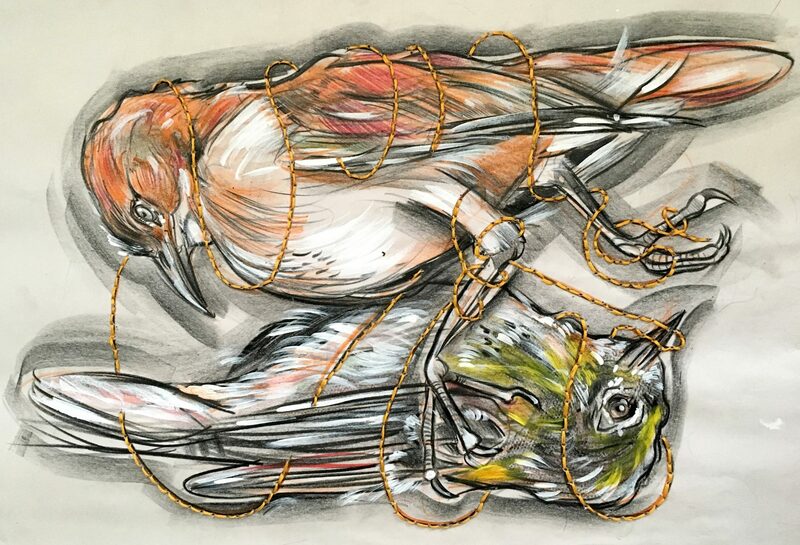 To hold on, yet to fly. She is made of recycled materials to remind that nature needs us to care of her. 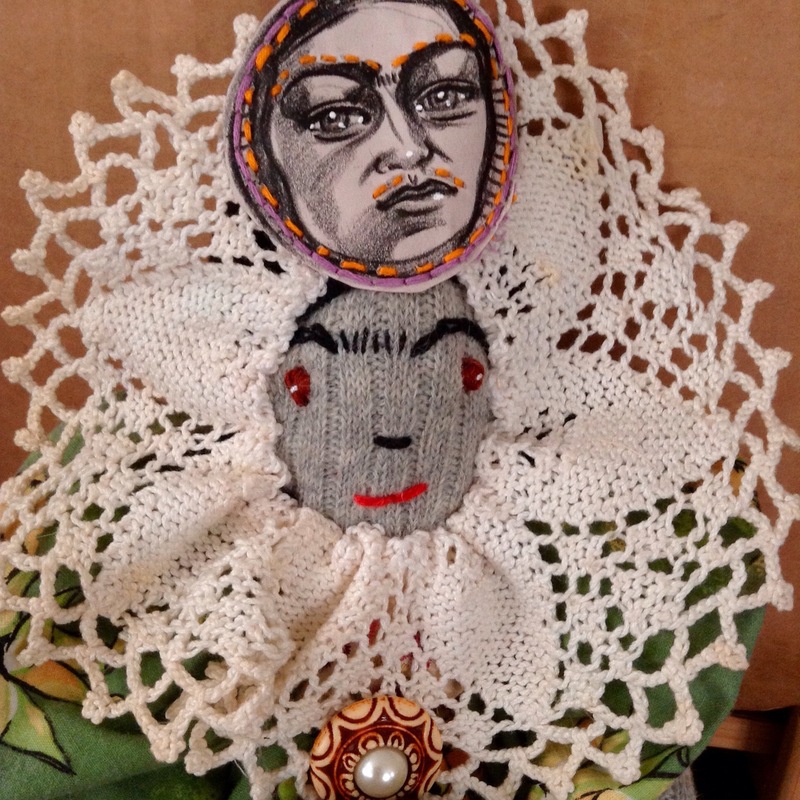 A special hand-drawn Frida portrait sits at the crown chakra: Stay connected to yourself. The inner reflects the outer. Previous Post: “Dear me…” Write a letter to your younger self.